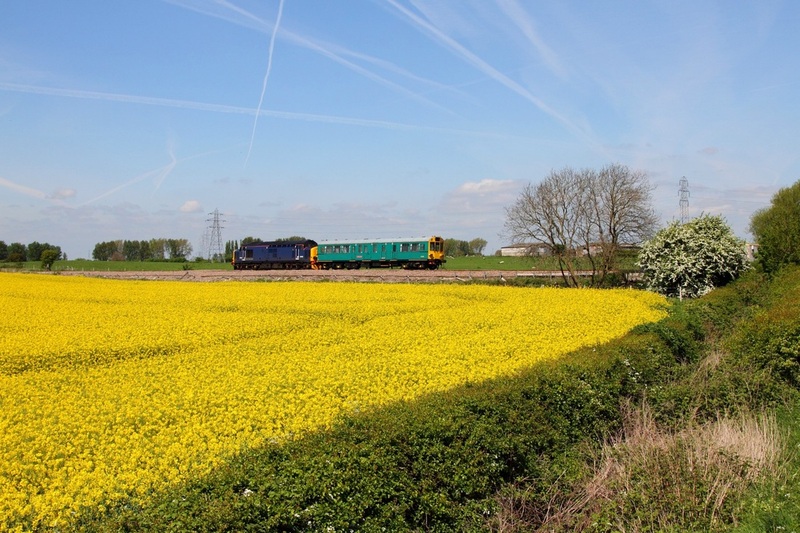 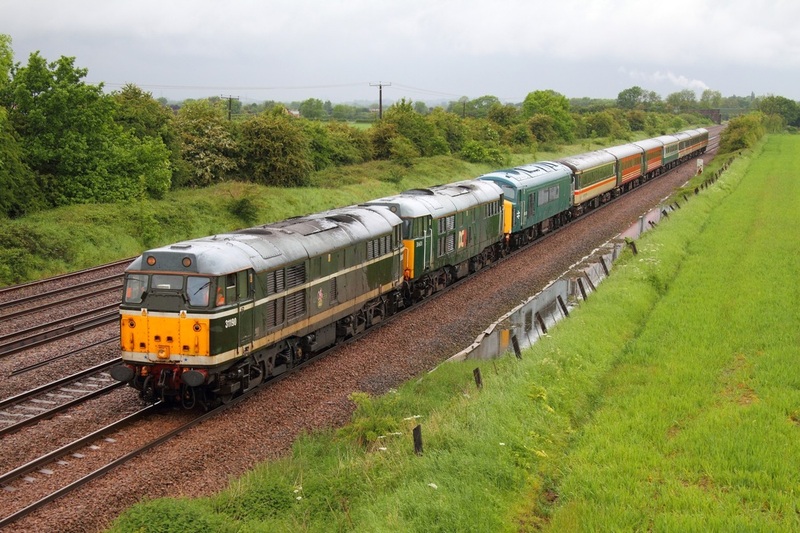 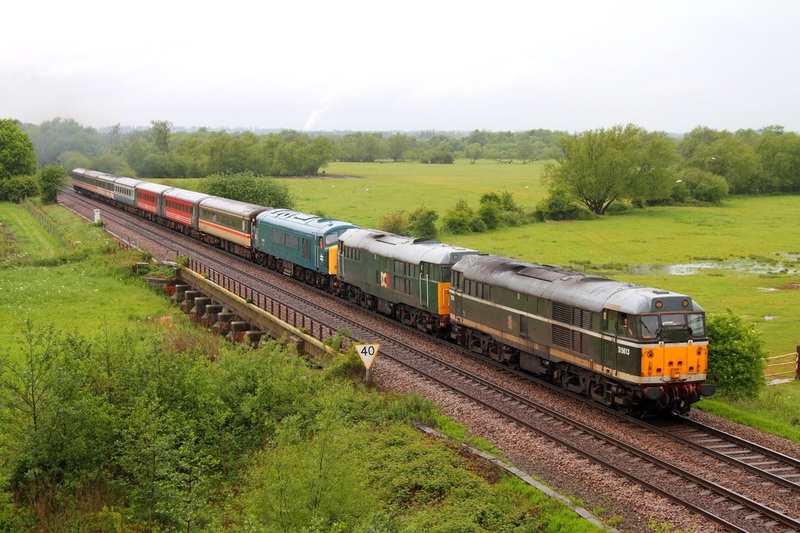 Br Green 31190 leads DCR 31601, Br Blue 45133 on the 5Z45 Chaddesden Sidings to Dereham at Cossington on the 24th May 2014. 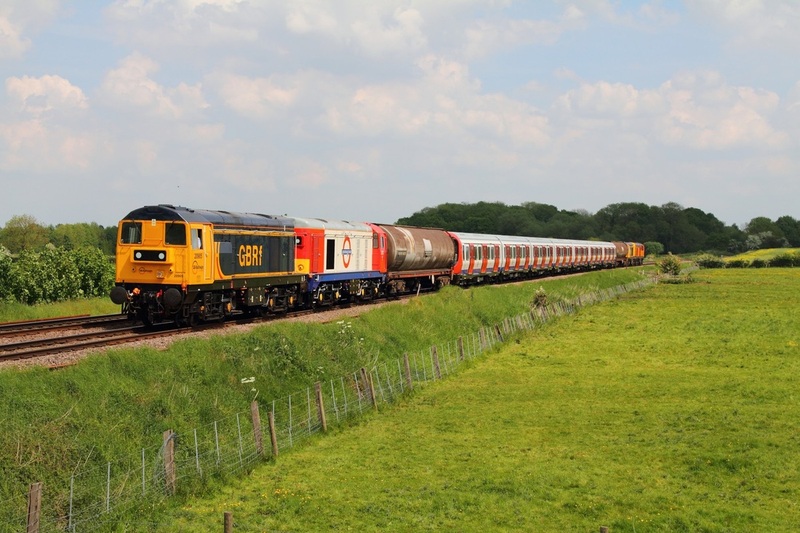 GBRf 20905 leads London Underground 20227 tnt 20901 and 20314 on the 7X09 Old Dalby to Amersham at Rearsby on the 19th May 2014. 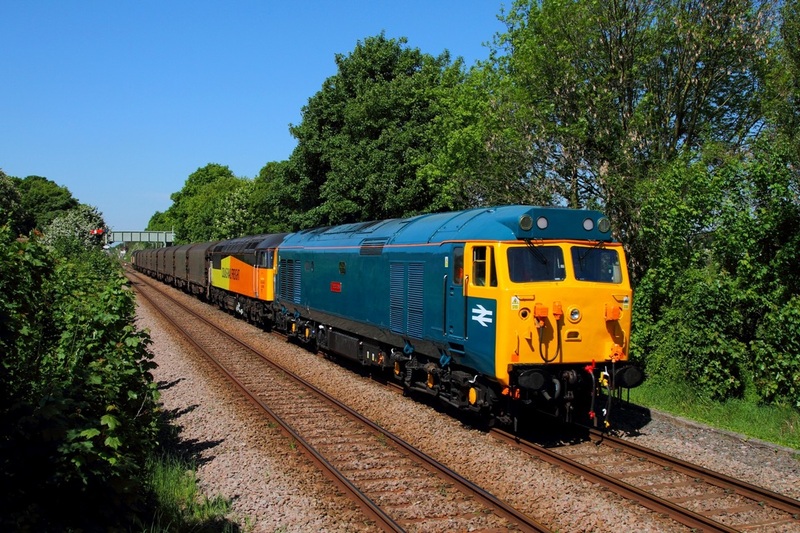 Network Rail 57310 hauls the 5X57 Ilford E.M.U Depot to Derby Litchurch Lane with 379013 as consist, at Normanton on Soar just north of Loughborough on the 14th May 2014. 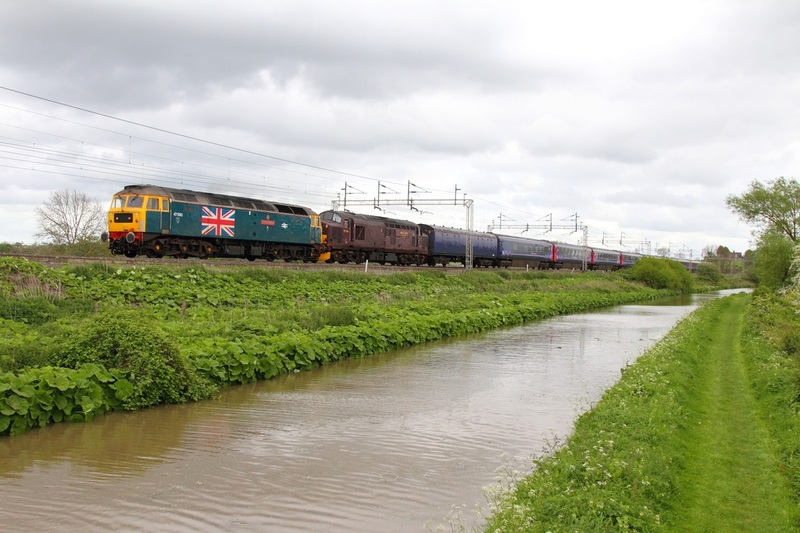 Br Blue with the Union Jack flag, 47580 leads WCRC 37706 and consist: 6338, 44010, 42032, 42030, 42010, 42031, 40210, 41022, 41021 and 6330 at Ansty adjacent to the Oxford Canal north of Brinklow on the 10th May 2014. 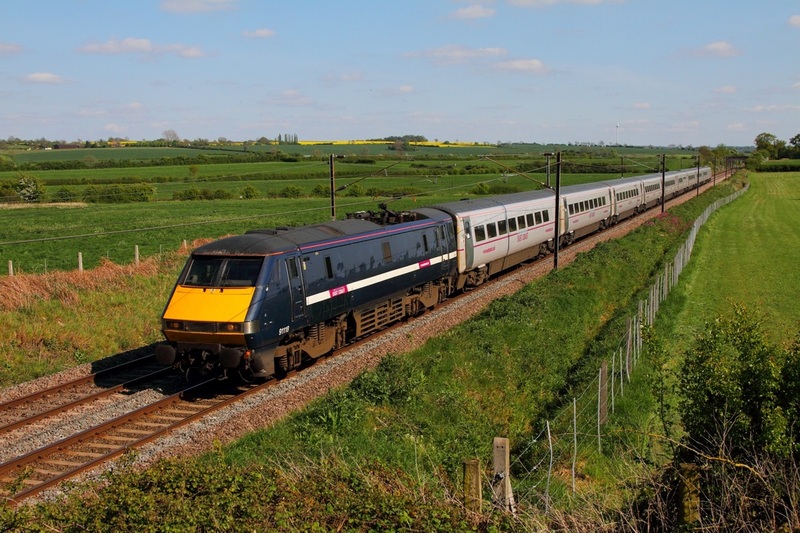 This was train: 5Z00 Old Oak Common to Kilmarnock. 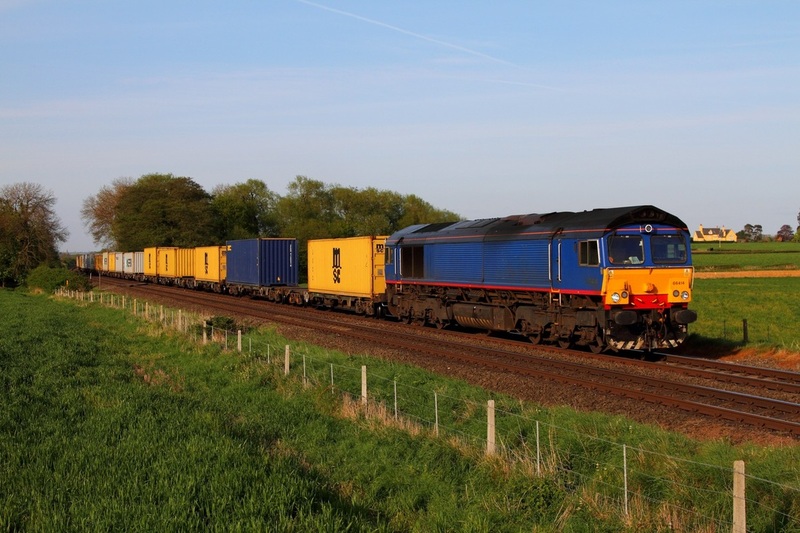 Formerly 'James the Engine', Freightliner's 66414 cruises through East Goscote hauling a diverted 4M41 1511 Ipswich to Crewe Basford Hall freightliner on the 3rd May 2014. 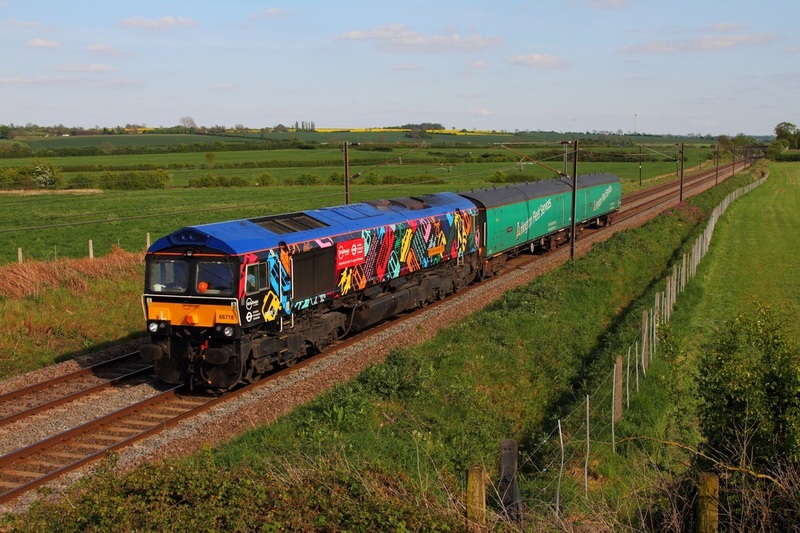 London Transport liveried 66718 hauls two barrier vehicles as 5E89 Slade Green to Doncaster works at Hougham on the 3rd May 2014. 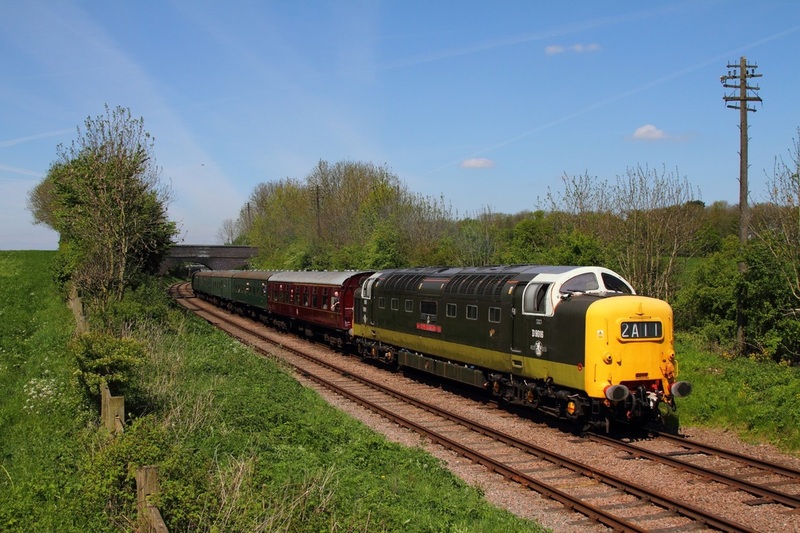 Inspection Saloon 'Caroline' leads DRS unbranded 37423 on the 5Z02 Crewe Gresty Bridge to Derby RTC at North Staffs junction, Willington on the 3rd May 2014. 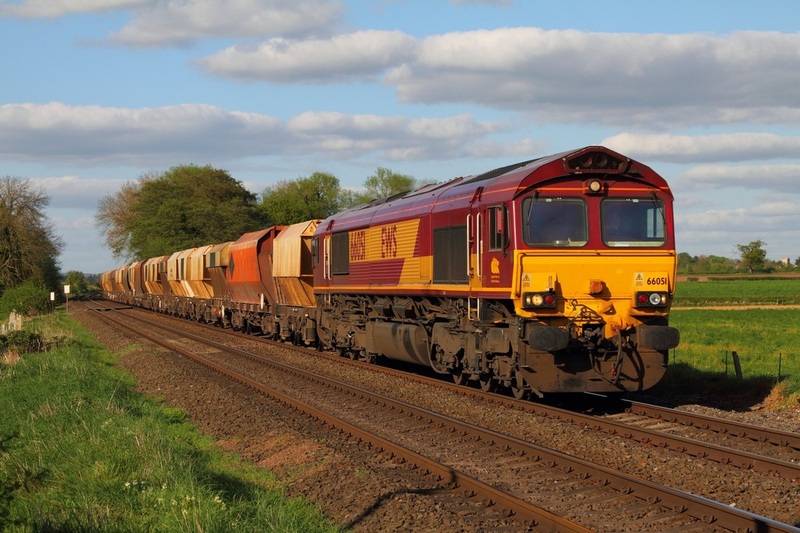 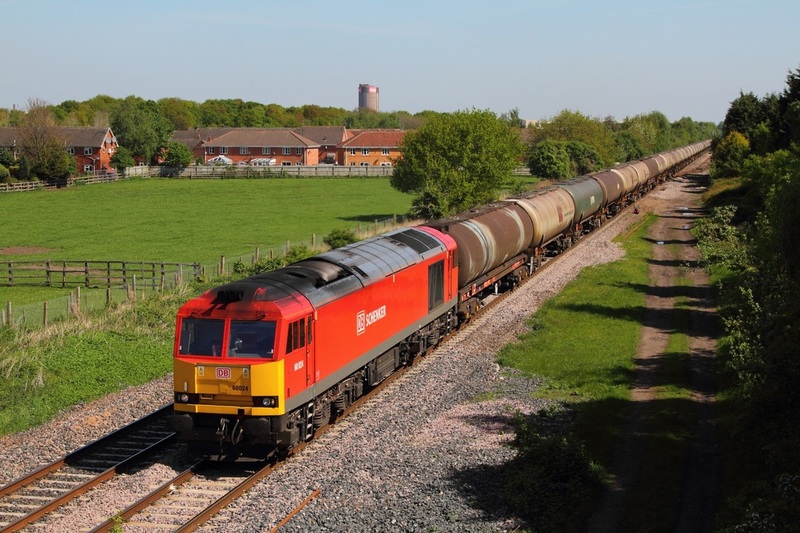 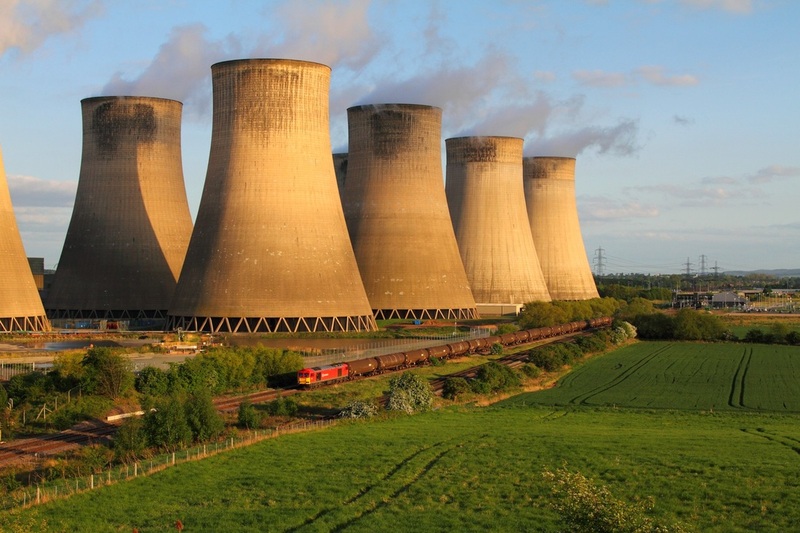 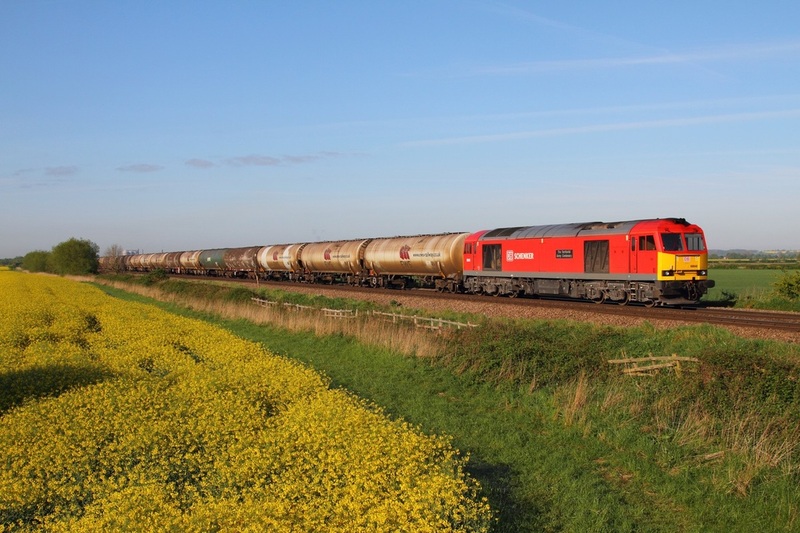 DB Schenker's 60024 passes Branston south of Burton upon Trent working the 6M57 Kingsbury to Lindsey tanks on the 3rd May 2014. 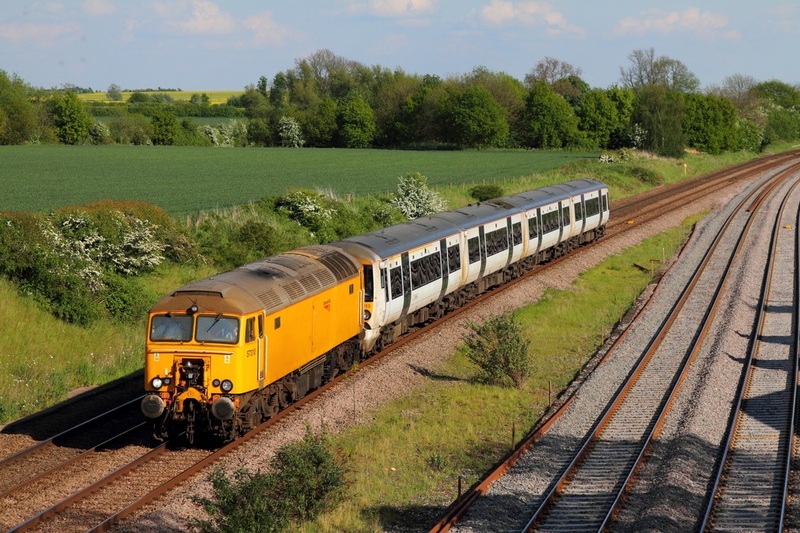 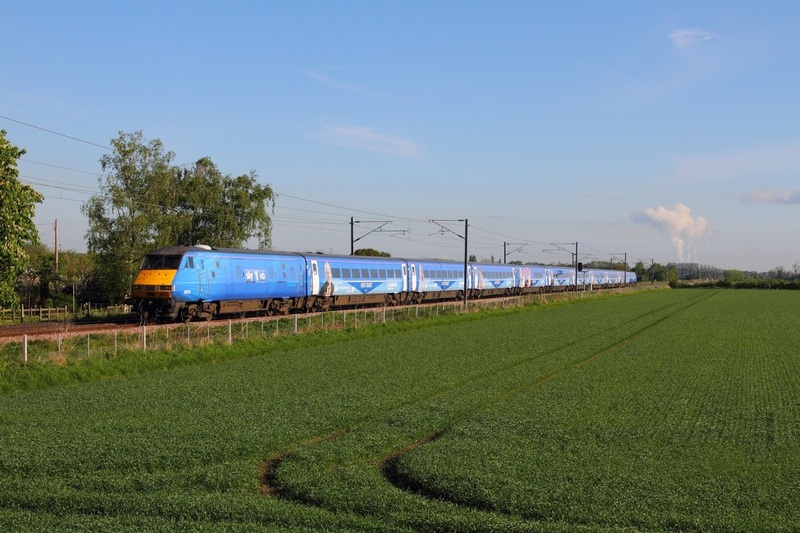 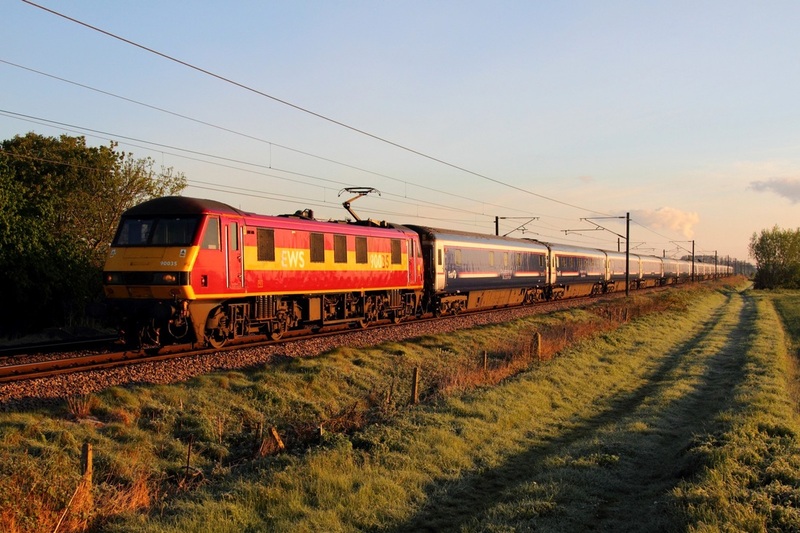 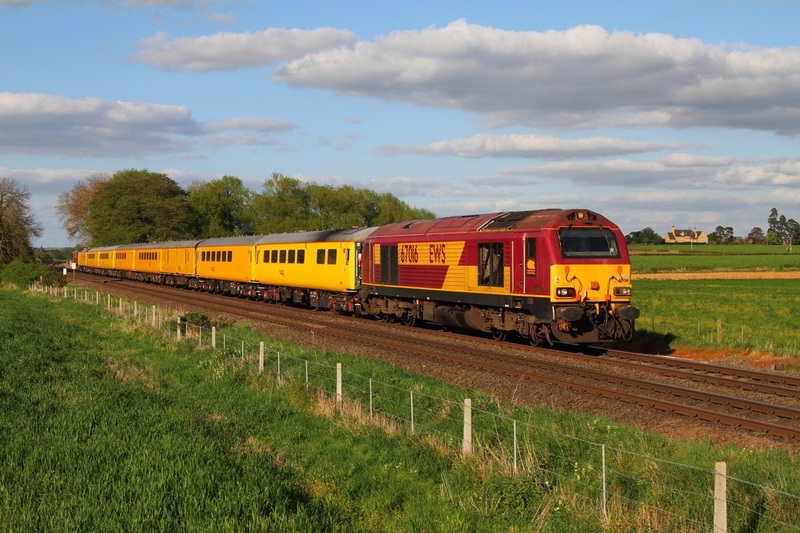 Set BN25 still sports the Sky1 HD advertising livery, and is captured here with 82226 leading 91125 on the 1Y11 Newcastle to London Kings Cross at Cromwell near Newark on the 3rd May 2014.